Hey lovies! 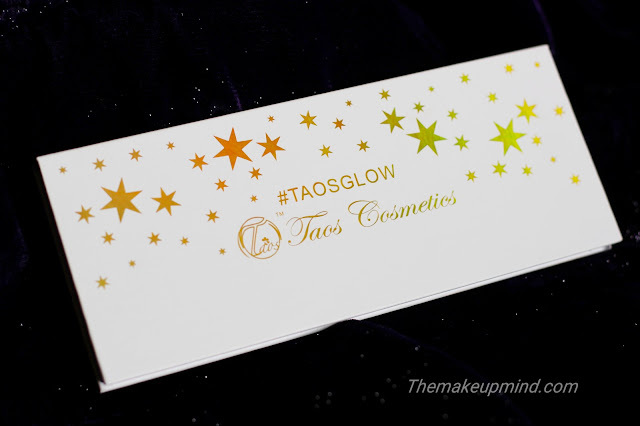 I was so excited to try out the new Taos cosmetics highlighter palette. 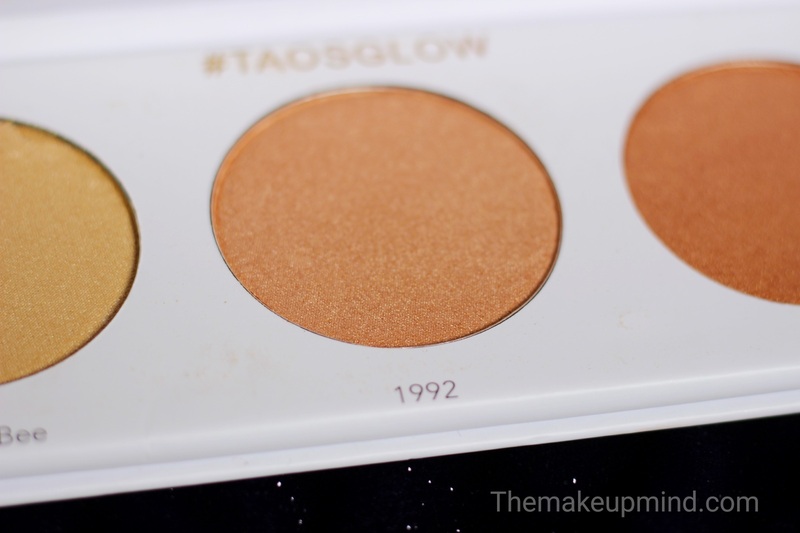 The year 2016 was all about glowing and it was no surprise that the brand got with the trend and released their own highlighter palette before the year ended. If you follow me on Instagram, you would've been seeing me rock this glow for months! The first and most attractive thing about this product is the beautiful packaging! It comes in a sleek white package with little stars around it. The package also has a cardboard feel and a magnetic cover. It reminds me of the Juvias place eyeshadow palettes. 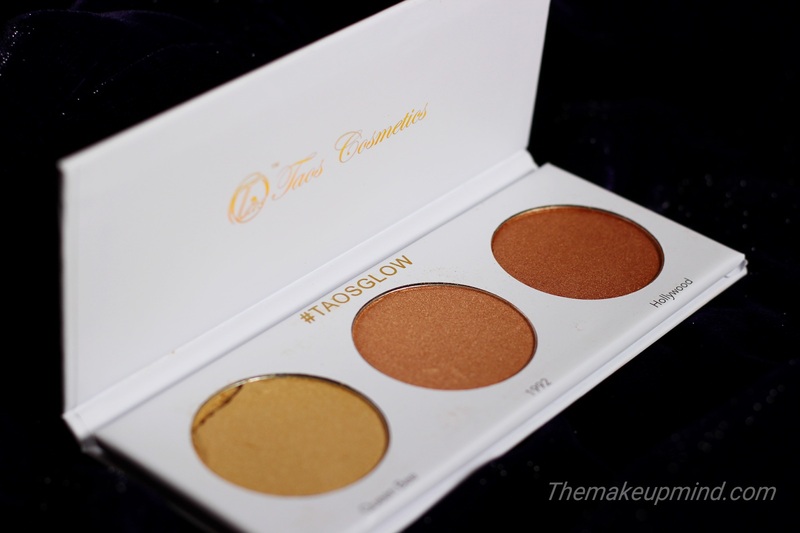 This palette comes with 3 different shades of highlighters which I think is is a good variety and is somewhat portable to travel with. An upcoming makeup artist may not need more than these 3 shades to cater to different skin tones as even myself I use all 3 of them. 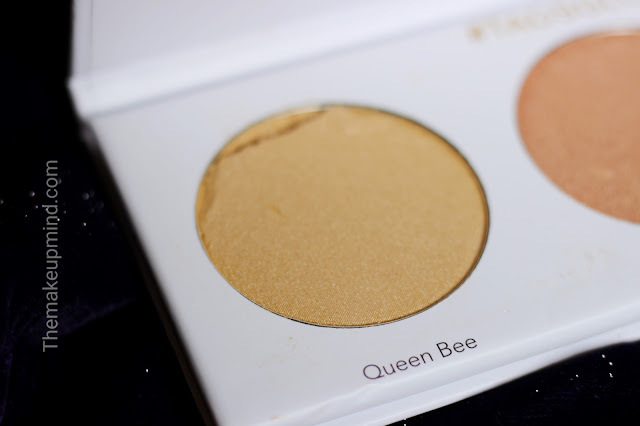 The texture of the Queen bee and 1992 is a lot more smoother than hollywood. 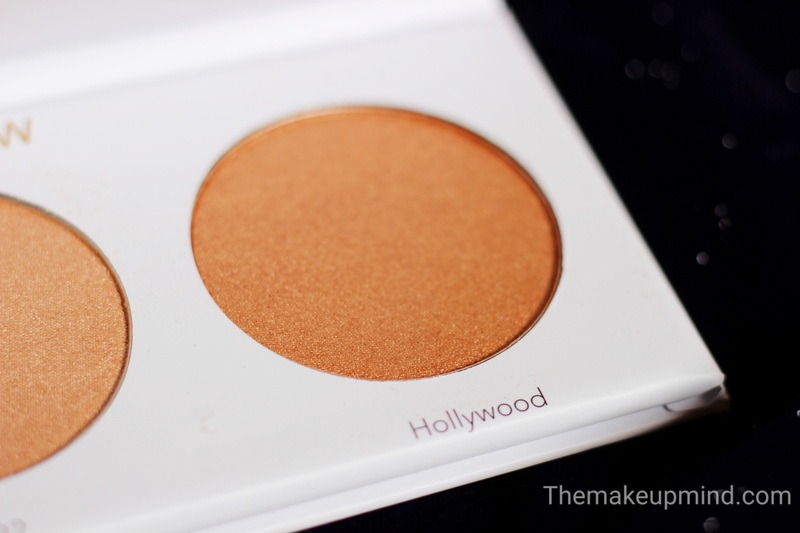 Although, hollywood is my favourite shade, it has a much grainier texture than the other two shades. 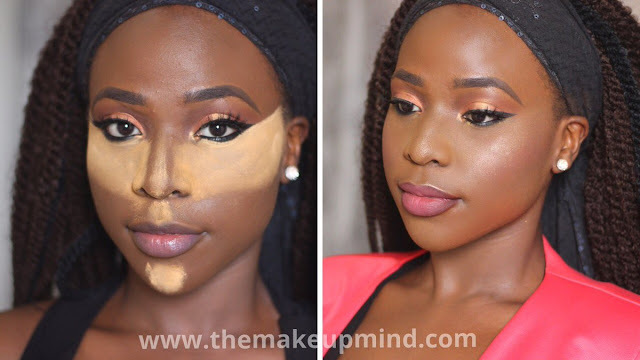 Application of the shades is also good and they all have really good colour pay off. Over all it is a good quality product. 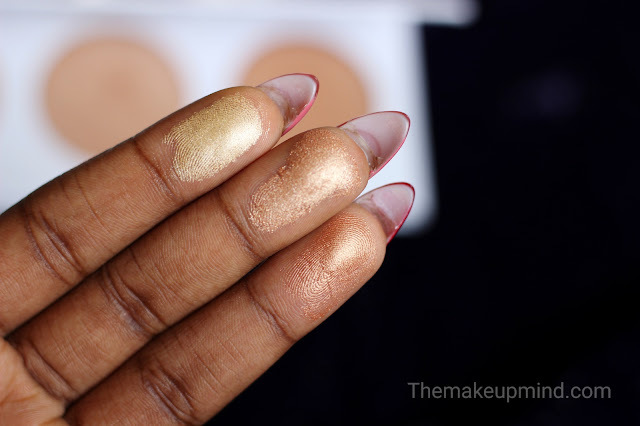 I see it as being similar to buying drugstore products like L'oreal, Revlon, Milani or Elf as the price is somewhat affordable (for 3 highlighters).